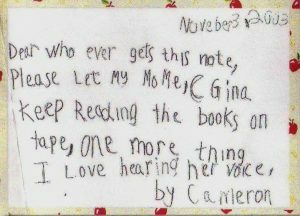 Below are examples of hand written notes that the Women’s Storybook Project receives on an ongoing basis. 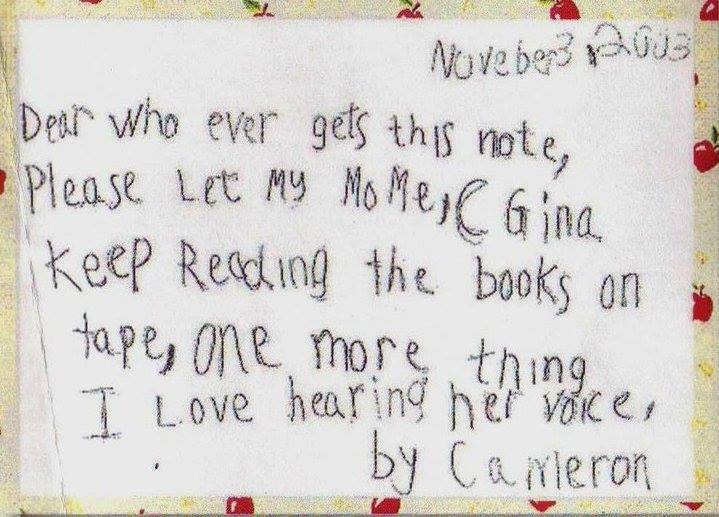 These touching notes are a joy to all of those involved. I don’t get to see my mom much so her reading to me means the world to me. I can’t wait until she sends me another book. Thank you for helping us to spend time together. We know that reading is fundamental to learning and I think [this program] is a great way to keep mother and child connected during their separation.